Lilis: You know they are everywhere, in the backyards and off the streets, right? That’s because all these flowers need in order to flourish are half to full sun and rain water – no matter how little their share might be. Lilies’ bulbs spread slowly but steadily over the years. So, pay attention to where you first plant them. 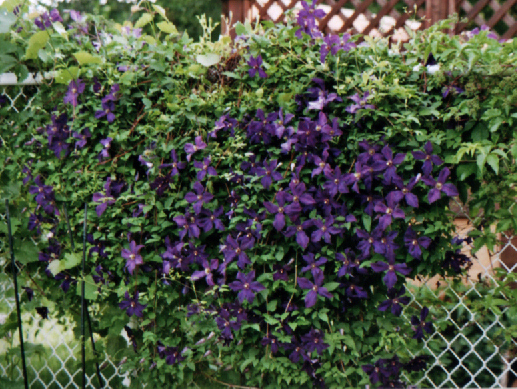 Clematis is a climbing plant of course and it is often used to cover ugly walls. My poor baby is by a fence and does not have much room as height to climb on and that’s why it sort of spreads instead of climbing! Most Clematis come in pink and purple hues. Mine starts to bloom late June, by mid July you can hardly see any green leaves behind the dense web of purple flowers, and they last till late in August. Clematis needs care and pruning at the end of the season. 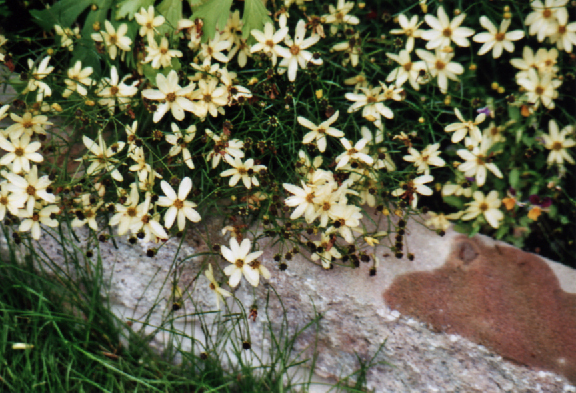 I have two types of very classic summer bushes in my garden: Gold fire, which blooms around the time Lilies do and does not require much care, except proper pruning at least once a year. 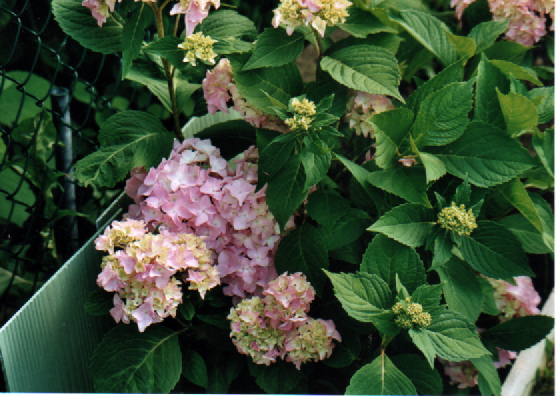 And Hydrangea, which needs lots of water in addition to proper pruning. 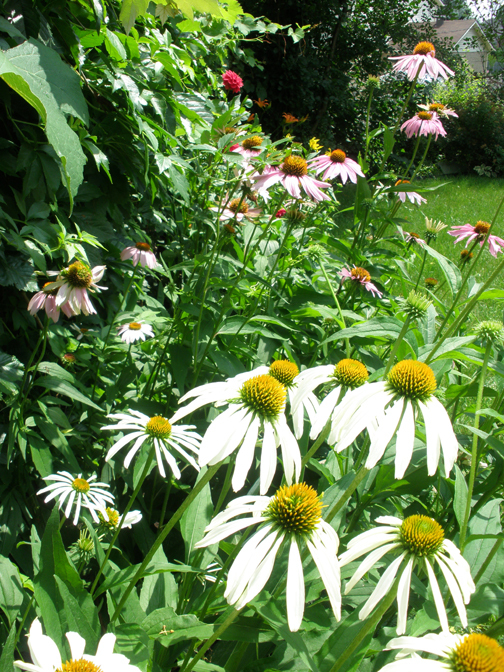 The hardy, long stemmed Daises make beautiful cut flowers. I have planted “Moon Beam” at the base of my long-stem flowers. They almost illuminate in sunset light and add a very gentle and charming touch to my yard. The lovely Dahlia and Rose of Sharon are on their way, stay tuned! من هم یک گلدان گل شمعدانی، به یاد دوست عزیز وخوش‌ذوق‌م، بوته‌ی گرامی، در مهتابی کوچک خانه‌ام خواهم گذاشت.